What Part of Aborting a Baby Girl Every 3 Minutes Qualifies as Women’s Health? Planned (Un)Parenthood is "celebrating" their 100th birthday. Planned Unparenthood performs an abortion every 97 seconds. "so that they are without excuse"
At least half of the victims of infanticide perpetuated by Planned Parenthood would have grown into women, yet the hypocrites claim to champion "women's rights". "...their foolish heart was darkened. 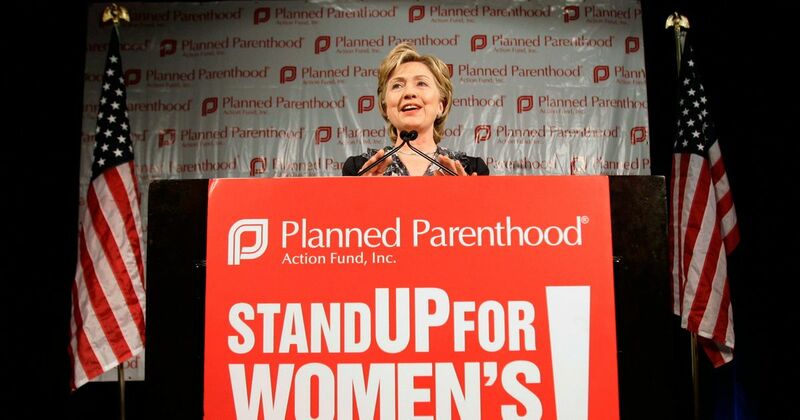 Planned Parenthood, Hillary Clinton and the "pro-choice" movement at large say that the unborn child has no constitutional rights. They had no choice, and they had no voice. "For the invisible things of him from the creation of the world are clearly seen, being understood by the things that are made, even his eternal power and Godhead"
Many years ago Billy Graham famously said that if God doesn't judge America for it's sin, He will have to apologize to Sodom and Gomorrah. Looking at just 100 years of Planned Parenthood we can be sure that He won't have to apologize.